2 Bedroom Terraced House For Sale in Bromley for £375,000. 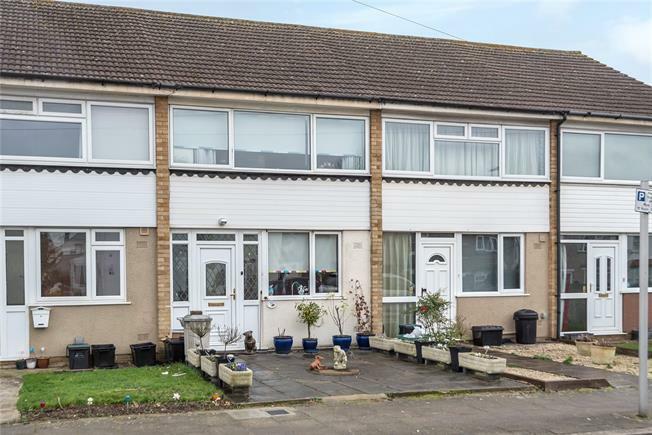 Situated on a quiet cul-de-sac within a very popular area with its array of shops, restaurants, and parks as well as being within close proximity to the well-regarded Raglan Primary School, sits this delightful two bedroom terraced home. The accommodation briefly comprising of; a modern fitted kitchen, light and airy reception room with patio doors to the garden. Upstairs boasts two double bedrooms and a modern family bathroom. Furthermore, the property benefits from a beautifully maintained south westerly facing rear garden and a garage to the rear. The property is convenient for both Bromley South and Bickley rail stations with fast and frequent services into central London.